It counts! It’s broken and beat up, but it’s a junonia! Yay! I was on West Gulf Drive, right behind the Caribe Beach Resort at 11am on a Tuesday. I was gathering a bunch of yellow cockle shells for my mom who I’d just found out was going in for surgery. 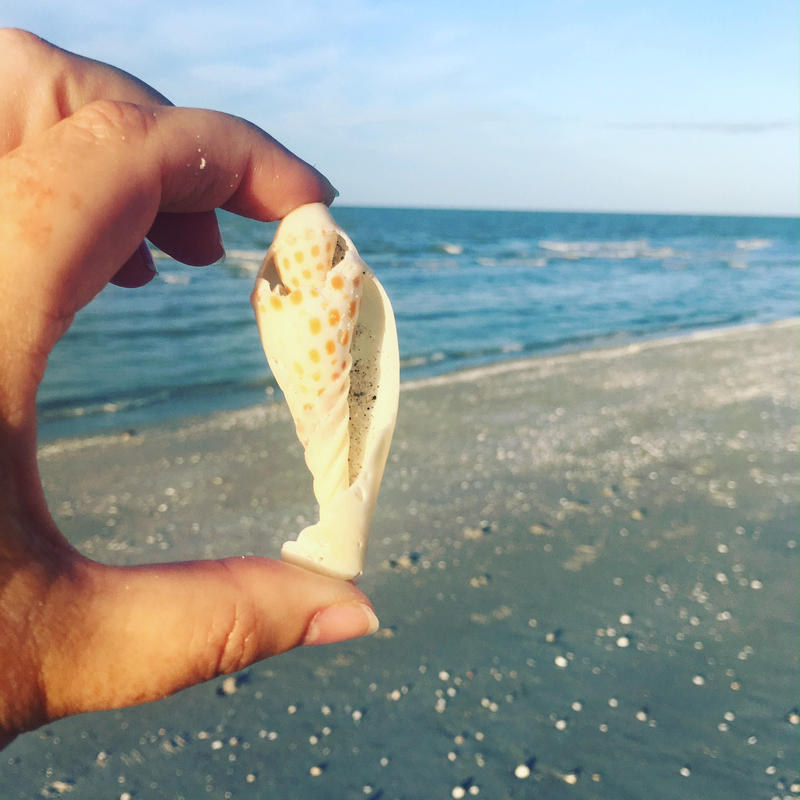 Before I drove home to the east coast, I wanted to find her favorite shells and bring them to her. So, while I was up at the high tide line gathering cockles, I uncovered this beauty! I feel it was a gift and this shell will forever remind me of my mom. By the way, her surgery went fine and she is recovering nicely. 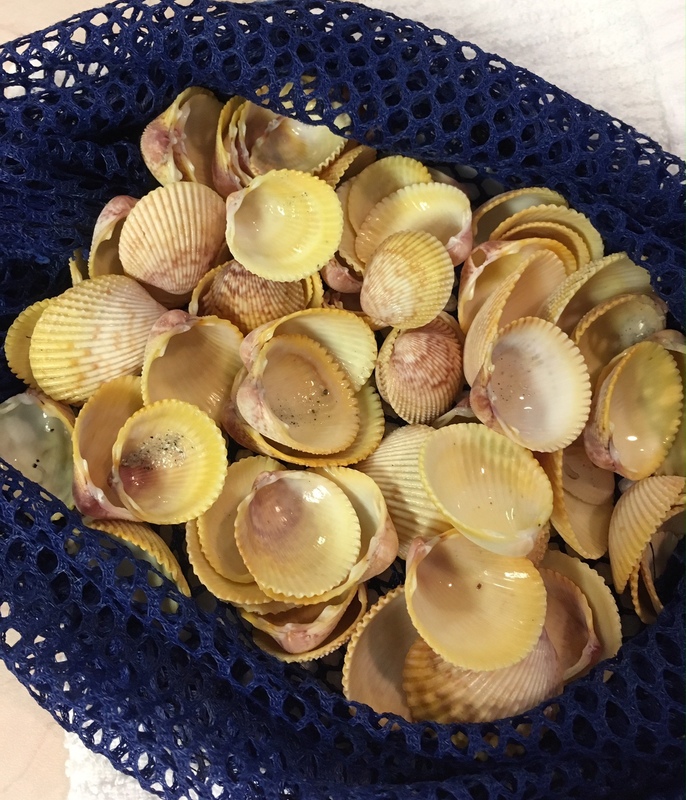 These are the yellow cockles I collected for her. So cheery, don’t you think?